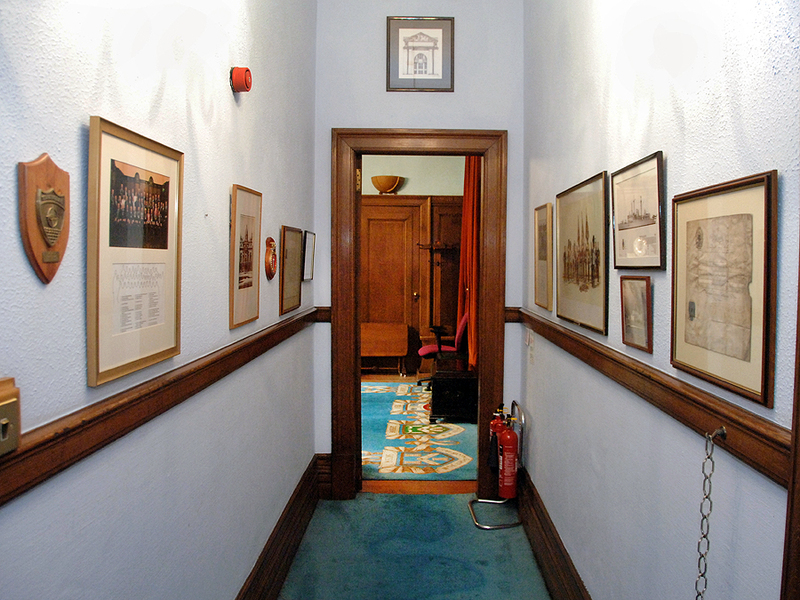 Corridor leading to the Deacon Convener's room. 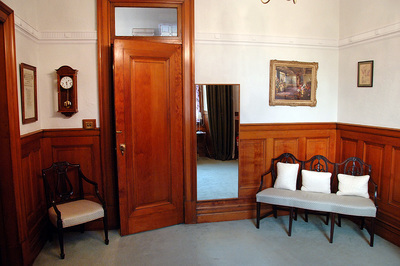 This is the private suite of the Deacon Convener of the year and his or her partner. 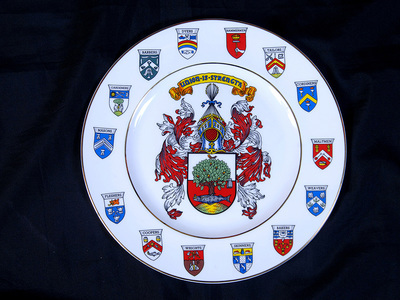 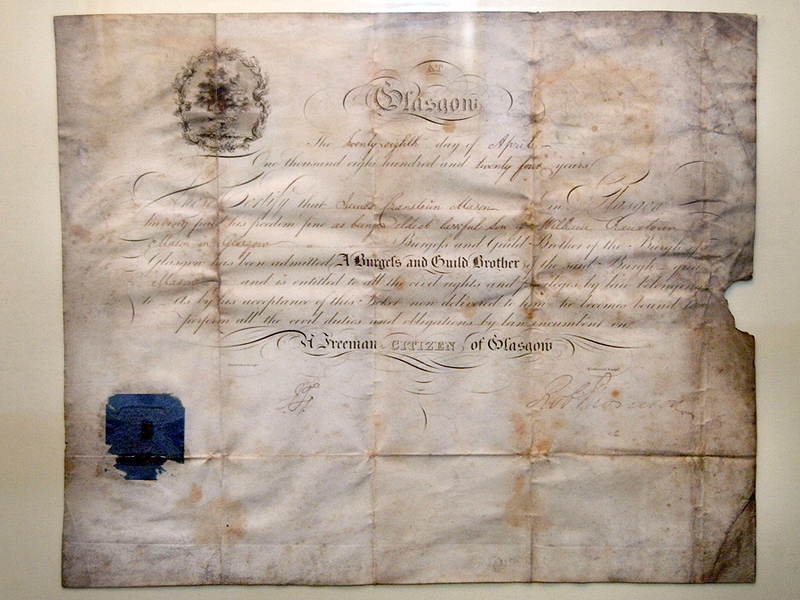 In 2015 Ruth Maltman became the first lady Deacon Convener since the founding of the Trades House in 1605. The suite is a tranquil area where preparation for meetings and events can be carried out. The suite can also be used for personal hospitality by the Deacon Convener and with his/her permission also by the Deacons and Visitor of the Crafts. 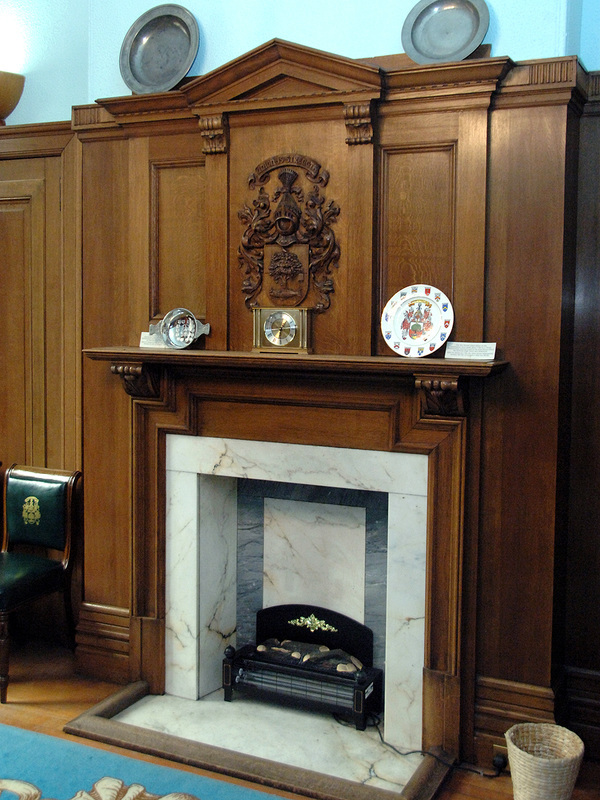 The room is oak panelled and houses many artefacts gifted to the House. 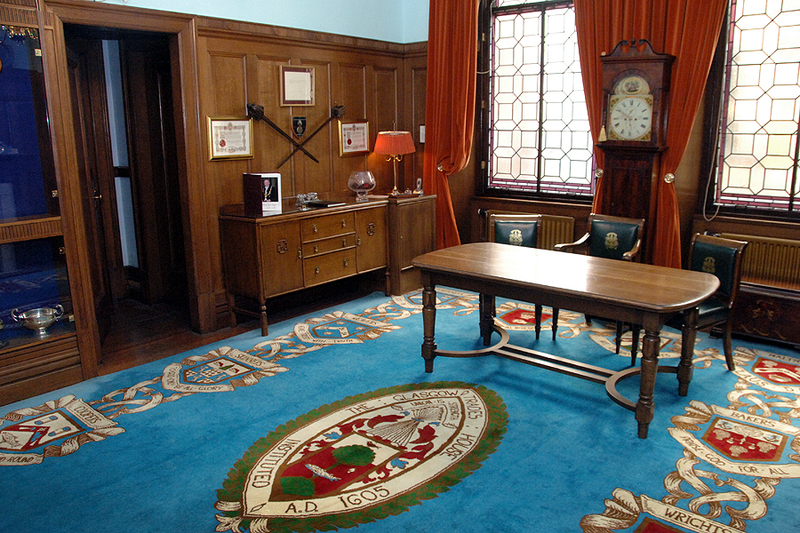 The carpet bears the crests of the House and the Incorporations and was donated by the family of the Late Convener T. Kenneth Campbell in 1974-75. 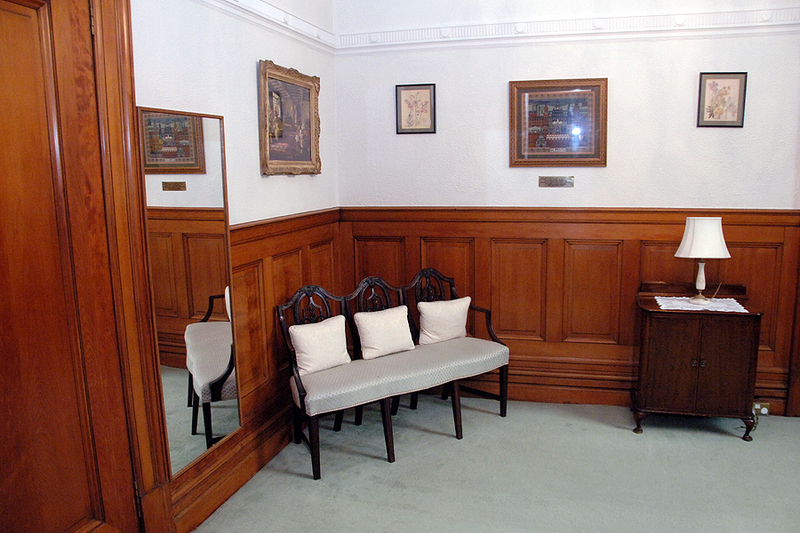 An album showing the photographs of the Deacon Conveners can also be found in this room and it may be pursued online on this website. 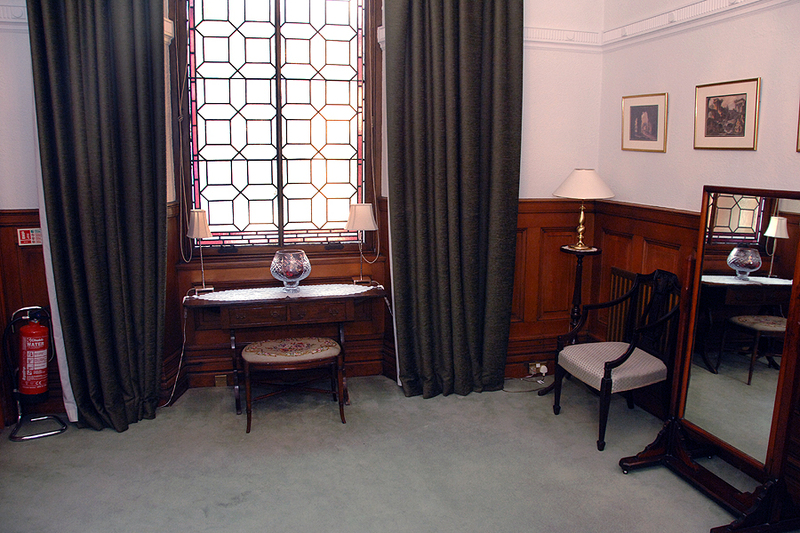 Adjacent to the Deacon Convener's room is the room for his/her partner and contains a number of items gifted by Past Deacon Conveners..